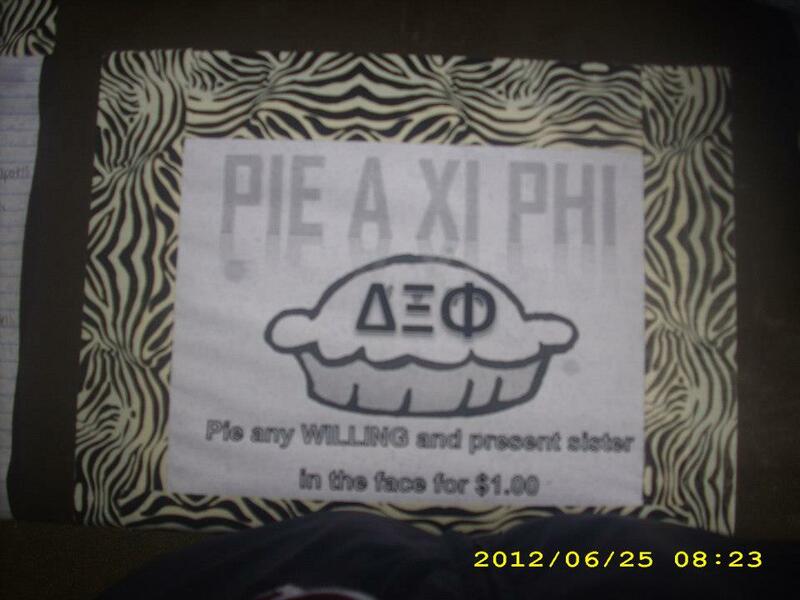 Last month sisters at DXP’s Chi Associate Chapter held a fundraising event called “Pie a Xi Phi!” that raised money for the chapter and Delta Xi Phi’s national philanthropy, the American Cancer Society. Initially Chi’s Beta line held the fundraiser during their process., and it was so popular that sisters decided to bring it back! 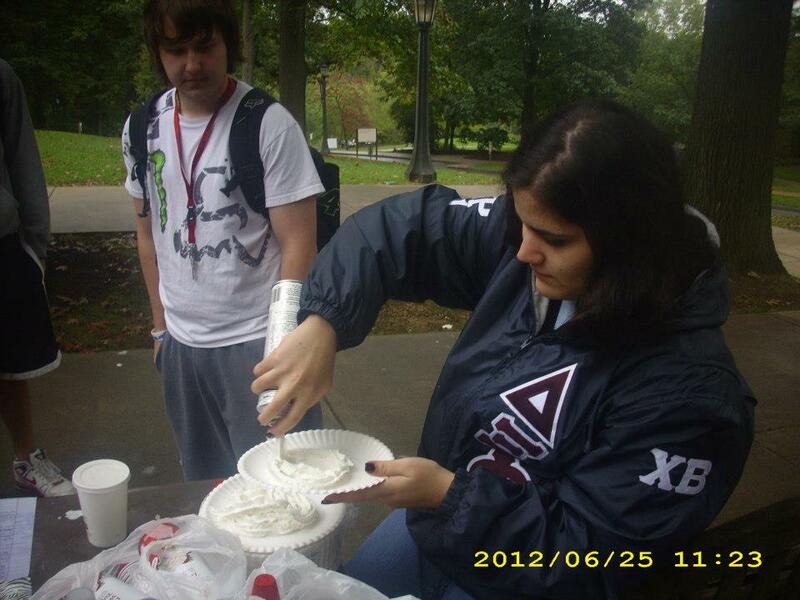 For $1 anyone could ‘pie’ a Delta Xi Phi Lady with whip cream. 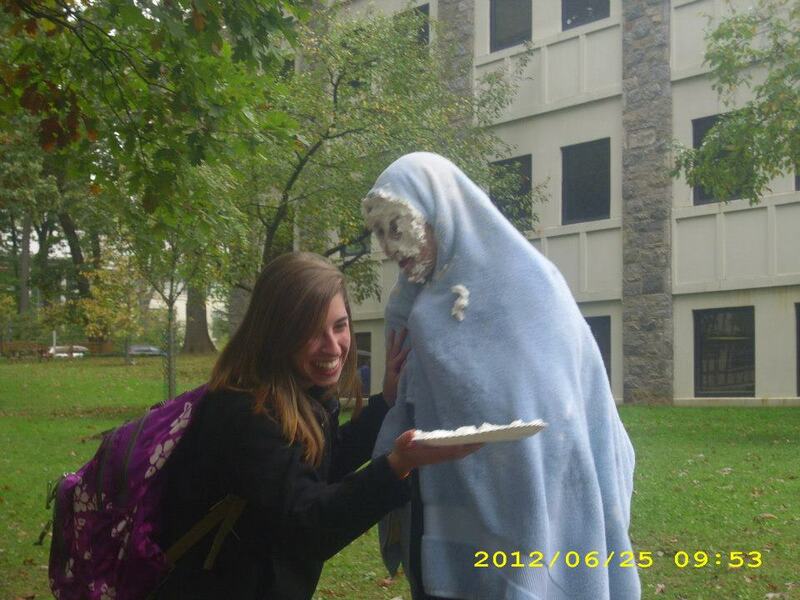 “People are always so confused when we ask them to pie us in the face, but once we told them what it was for they would laugh and either donate some cash or spare change, or pick up a pie,” says sister Cheryl Sampson. 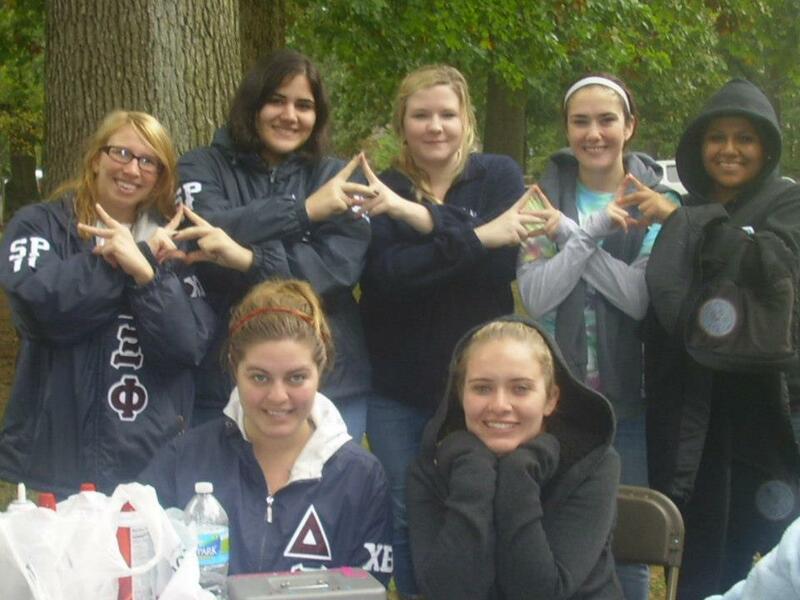 Despite the cold and rain, Lauren Brescia stated the sisters raised over $100! They even earned a lot of smiles from students on campus. 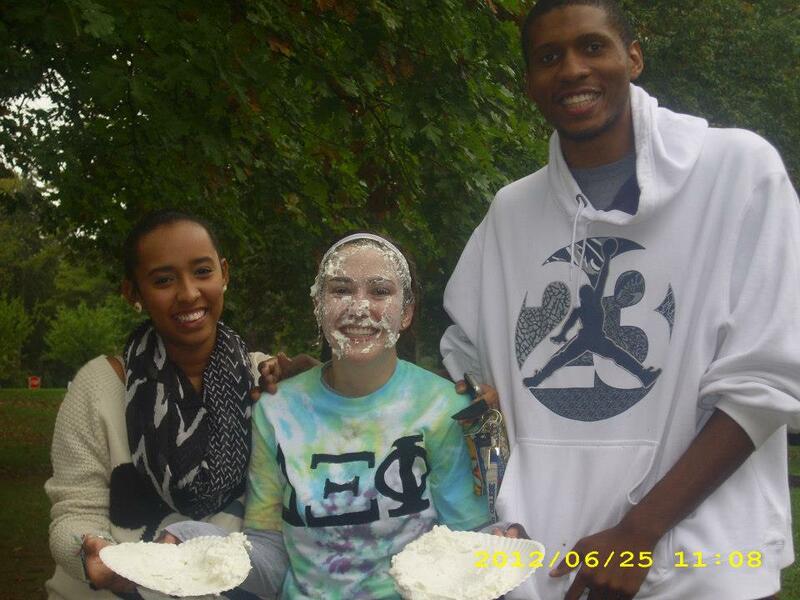 A few couples even asked to pie each other! Luckily the chapter came prepared with towels, shampoo, and body spray “so no one needed to smell like whip cream all day,” says Gabrielle Bruno. This event helped Chi sisters fundraise as the chapter decided $10 of each sisters’ dues would go toward the American Cancer Society. Chi also participated in Relay for Life and a local breast cancer walk for philanthropy and community service efforts this term.